Iraq has not requested that any country send ground troops into its territory and will regard any such move as a “hostile act,” the country’s prime minister, Haider Al-Abadi, said in view of a US decision to deploy special forces in the country. 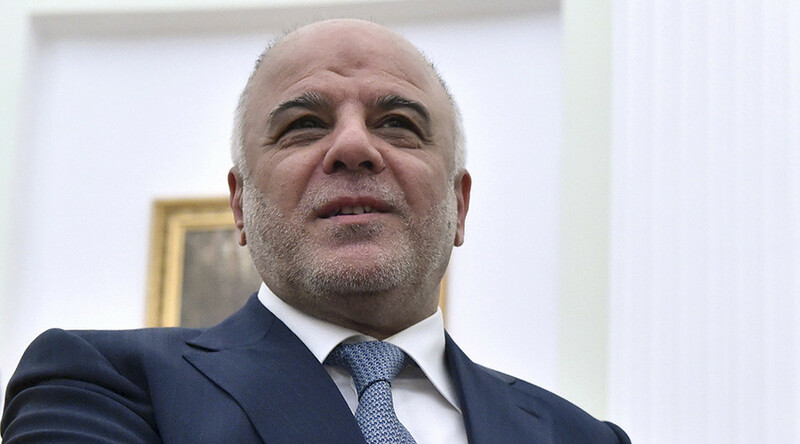 “The Iraqi government confirms its firm and categorical rejection of any action of this kind issued by any country [that] violates our [Iraq’s] national sovereignty,”Al-Abadi also said in the statement. Baghdad “did not request any side... to send ground forces to Iraq,” he added, thus refuting reports that the Iraqi government had called for deployment of foreign troops to help Iraqi forces fight Islamic State (IS, formerly ISIS?ISIL). Iraq does not need any foreign forces from any state or international coalition, it only needs weapons, ammunition and training from its partners and allies in the fight against IS, the prime minister’s statement says. Al-Abadi’s statement comes after the US announced plans to dispatch special forces to Iraq to fight Islamic State, both in Iraq and northern Syria. On November 24, a US Combined Joint Task Force spokesman, Colonel Steve Warren, said that about 100 Expeditionary Targeting Force personnel would be sent to Iraq with some US senators proposing tripling that number, AFP reports. Even though US President Barack Obama had repeatedly claimed that there would be no US “boots on the ground,” he eventually approved the deployment of Special Forces against IS. It is still unclear how the Iraqi prime minister’s statement will affect US deployment plans, with US officials yet to comment. In October, Iraq’s ruling coalition calling on the prime minister to request Russian air support in the fight against IS, criticizing the actions of the US-led coalition in Iraq. “The largest bloc has sent a request to the prime minister to add further forces to the fight against terrorism and not only to rely on the United States and the international coalition, which has up till now been rather shy in its efforts to destroy [Islamic State] bases in Iraq,” Saad Al-Matlabi, a member of the country’s State of Law Coalition, told RT at that time. In earlier statements, Al-Abadi also claimed he would “welcome” Russian air support. “If we get the offer, we’ll consider it. In actual fact, I would welcome it,” he said in an interview with France-24 TV on October 1, referring to potential Russian air strikes against IS on Iraqi territory. Al-Abadi also accused the US-led coalition of a lack of support in that interview and also questioned the will of the West to defeat Islamic State.